Episode 111 of the podcast features the nerds in what the TAG Network likes to call a “3 Way Dance”. No 4th chair this week. CT, Jeeg and I gather to discuss a topic that we haven’t done since WAY back in episode 4; Guilty Displeasures. Guilty Displeasures; things we think we should love, but don’t. Expect us to discuss things like Mt Dew flavor extensions, comic books, zombies, peppermint and lots more. So come join us for some fun in discovering things that we all hate. Or listen to it online in your browser here. 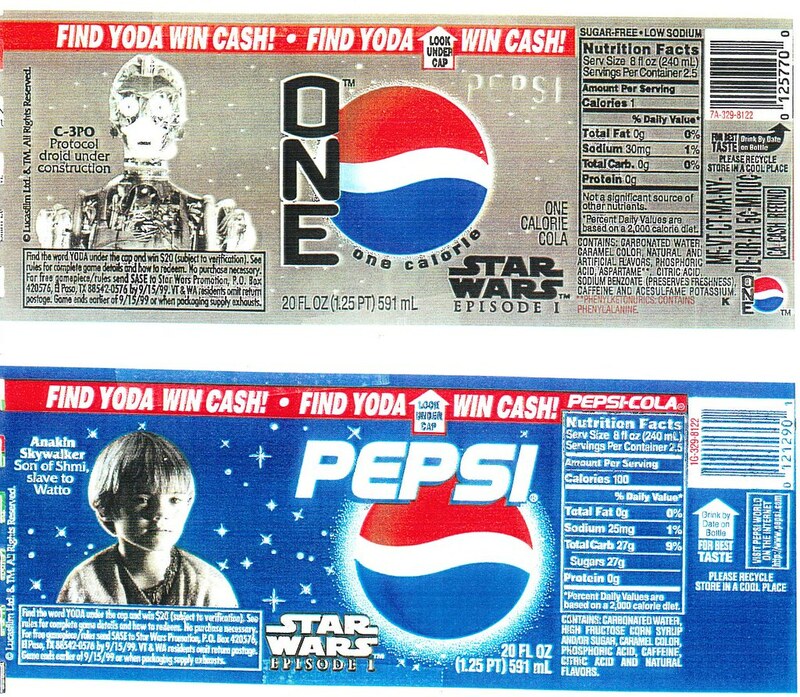 The other day, I took a look at the 1999 Pepsi Star Wars Episode I collector cans. At the same time as the collector cans, Pepsi also put Star Wars characters on their bottles. 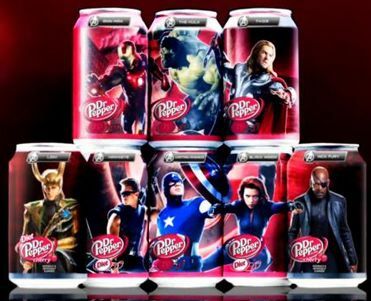 They were the same characters that are on the cans, but the bottles included soda flavors not involved in the can promotion. And only one character per flavor. Here are the main Pepsi Star Wars character bottles. This is the regular Pepsi and Pepsi One bottle labels. Anakin was on all the Pepsi bottles as he was the #1 character can. 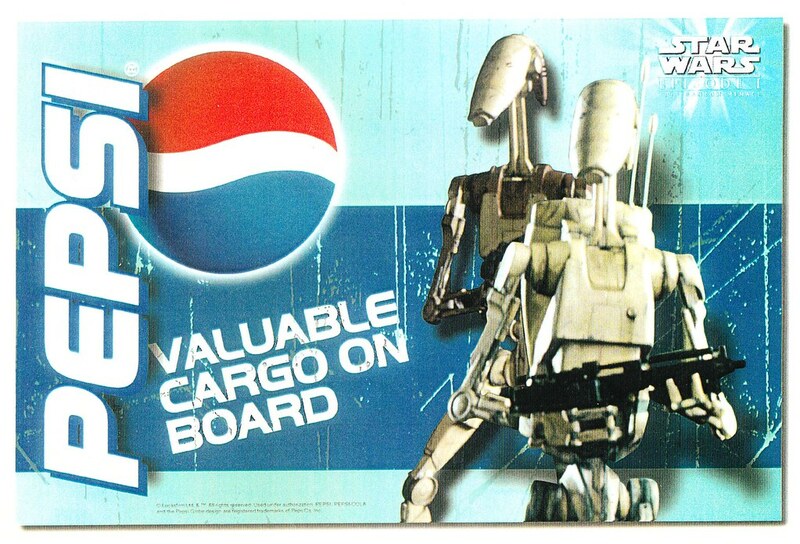 C3PO was the only one on Pepsi One bottles and he was also on the Pepsi One cans. 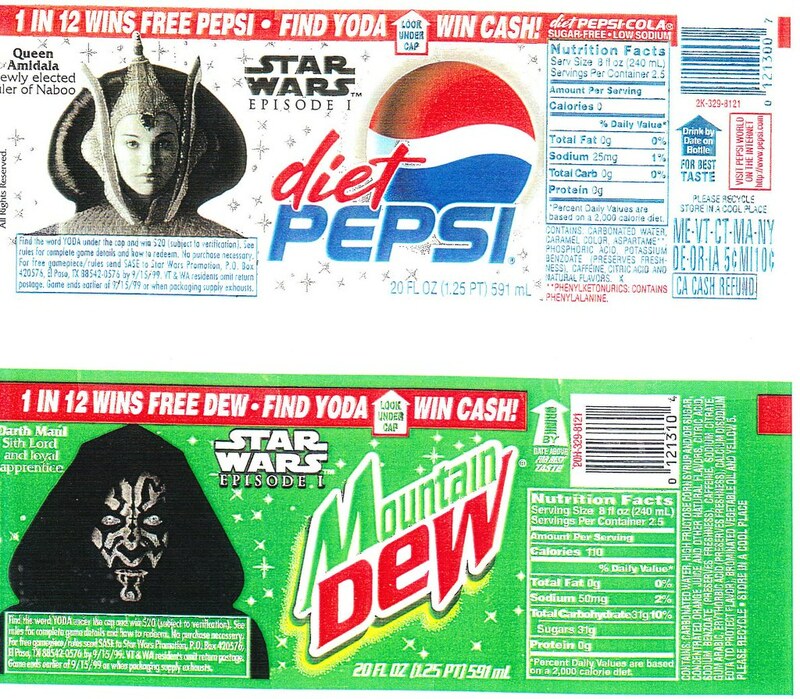 These are the Diet Pepsi and Mountain Dew bottles featuring Queen Amidala and Darth Maul. They both were also on those respective cans. 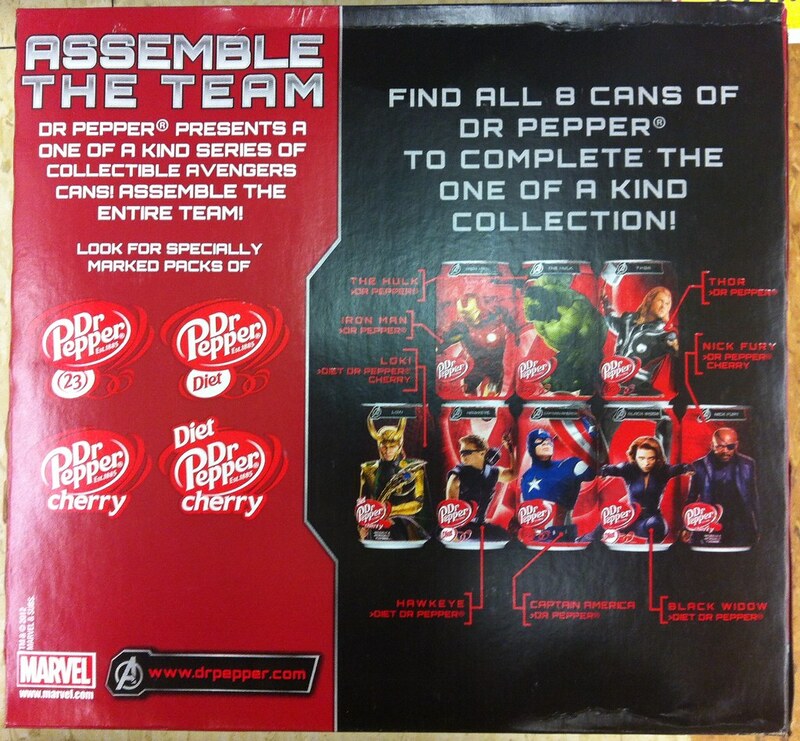 Diet Mt Dew and Wild Cherry Pepsi were not a part of the collector can promotion. 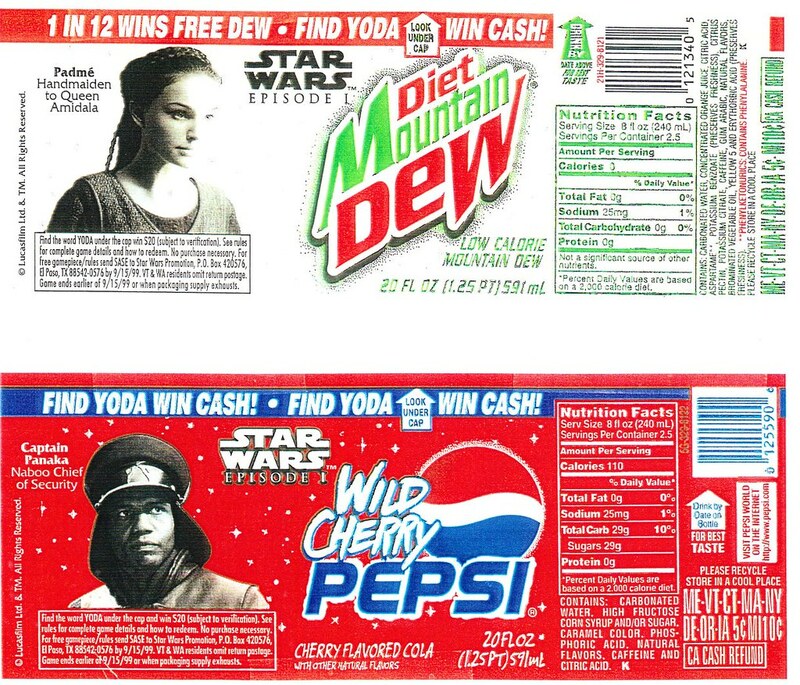 Padme was originally on Diet Pepsi cans and Capt Panaka was on Mountain Dew cans. A few years ago I wrote two articles for the Archie McPhee website Monkey Goggles. 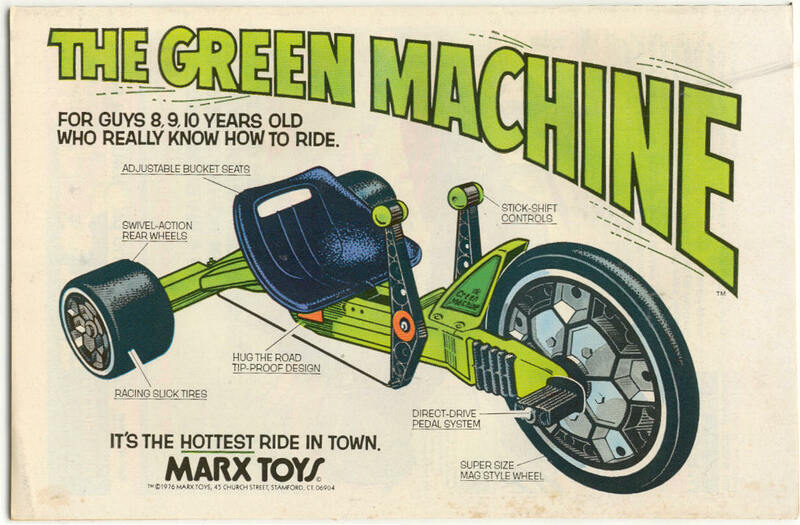 They also republished two other articles I wrote here (Glorious Glass and Origins of Our Favorite Toys). 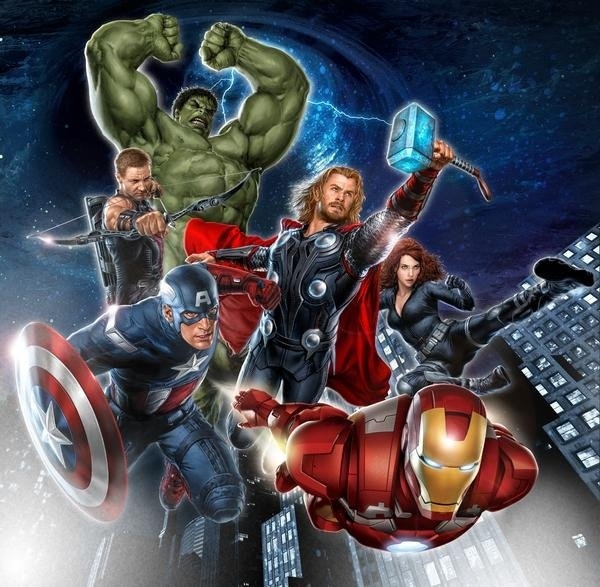 It was a fun little site with quirky humor/pop culture articles and I was glad to contribute. My buddy Shawn over at Branded in the 80s also wrote a few articles for the site. Anyway, it seems that the Monkey Goggles website has stopped updating. There haven’t been any new articles for the last year or so (since editor Geoff Carter left). So, like Shawn, I decided to archive my articles here before they are swallowed by the Internet. Today, you are looking at the first all-new article I wrote for the site. It’s about failed soda. The Cola Wars of the ’80s and ’90s really brought about a lot of competitive creativity between Pepsi and Coke (and to a lesser degree, 7-Up). They threw whatever soda flavor they could conceive of against the wall to see what would stick. Some worked (Cherry Coke, Mountain Dew Code Red), and some blew up in their faces like a novelty cigar (New Coke, Crystal Pepsi). Instead of marveling at the thrills of victory, let’s wallow in the agony of their failures. Here’s a list of some of the most spectacular soda failures from the long history of the Cola Wars. It was a fiasco. Coke was forced to bring back Coke Classic not three months after releasing New Coke. 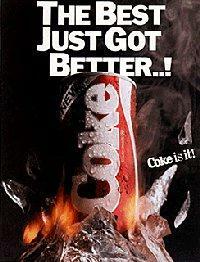 After the return of Classic Coke, New Coke was re-branded Coke II and then died a slow death in 1992. The “Classic” moniker still exists on the can to this day. (Read a more complete history of New Coke here). Crystal Pepsi – Apparently Pepsi wanted in on all the hate mail and lawsuits Coke got for New Coke. So they decided that they too would try something new. In 1992, Crystal Pepsi was released with great fanfare, including a high-profile commercial during that year’s Super Bowl. Unfortunately, Crystal Pepsi failed to live up to expectations. A clear cola that didn’t have a lemon-lime taste frightened and confused the soda-drinking public. 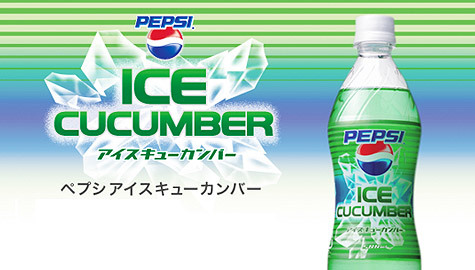 It became more a novelty than a soda to be taken seriously. Many people don’t remember, though, that for its first year Crystal Pepsi sold well enough to grab an 11% market share (and caused Coke to release the next item on this list). After that banner year, however, the bottom dropped out and Crystal Pepsi’s sales plummeted. As a last ditch effort, Pepsi reformulated Crystal Pepsi with a lemon-lime flavor and re-branded it as Crystal by Pepsi. Too little, too late. 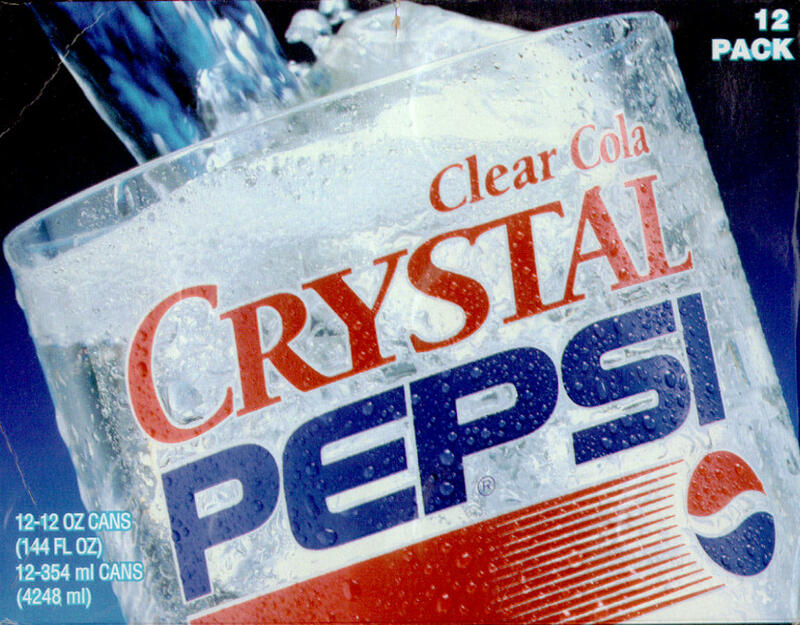 TaB Clear – Coke released this clear soda in 1992 after the strong first year sales of Crystal Pepsi. 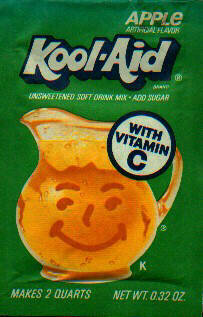 After the clear soda crash that same year, it was quickly discontinued. OK Soda – In 1992, Coke decided to try something new and released this less carbonated, more fruity soda with anunconventional marketing campaign. Fliers, soda “manifestos” and “underground” phone numbers with voicemail were used to target the youth market. 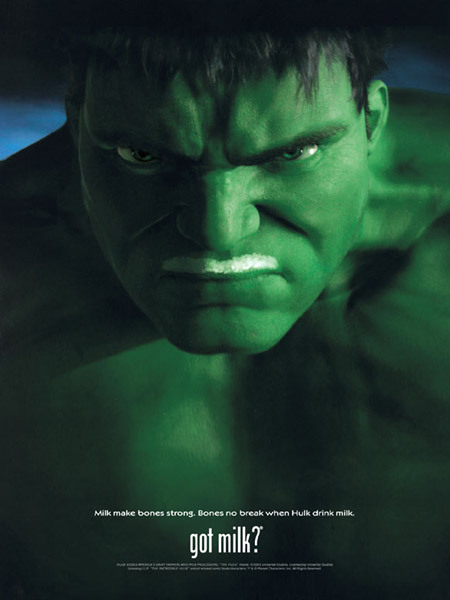 This tactic was definitely different, but it backfired as the targeted audience realized it was being marketed what executives at Coke believed to be an “edgy” soft drink. 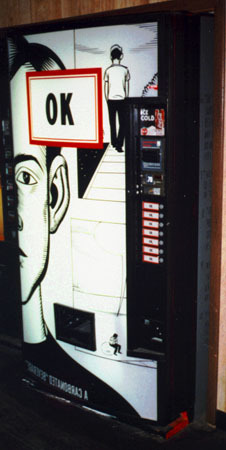 After poor sales, OK Soda was discontinued in 1993. 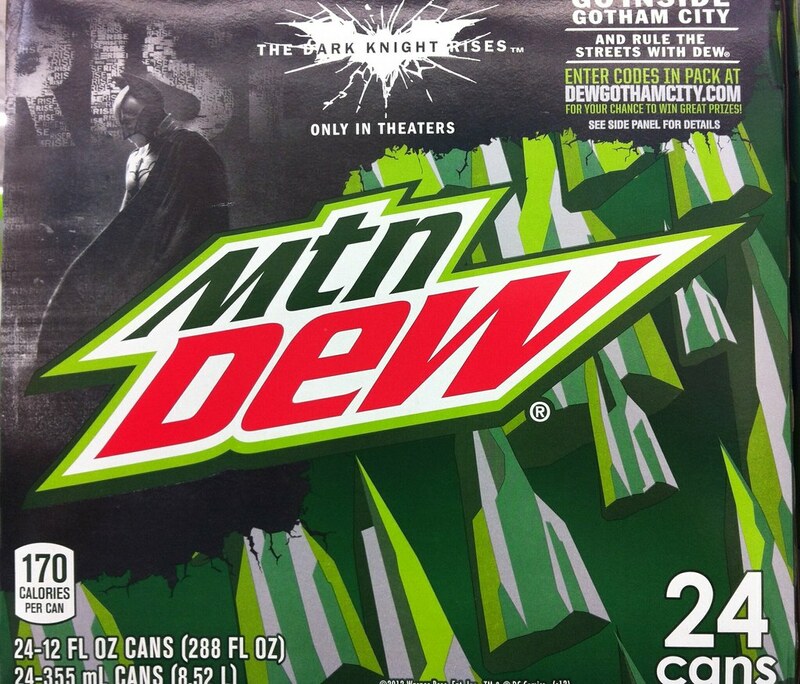 Back in March I mentioned that Pepsi was re-releasing the original Mt Dew Pitch Black to store shelves this Memorial Day. I was surprised they weren’t going to do it for Halloween, but whatever, that means we get Pitch Black back into our lives and there’s nothing more important than having that Black Grapey goodness back inside me. Well, you may have heard the girlish screams coming from Jacksonville this weekend, because I found brand new 12 packs of the 2011 Pitch Black. As a matter of fact, I’m drinking one of them right now. And it’s delicious. It tastes exactly as I remember. 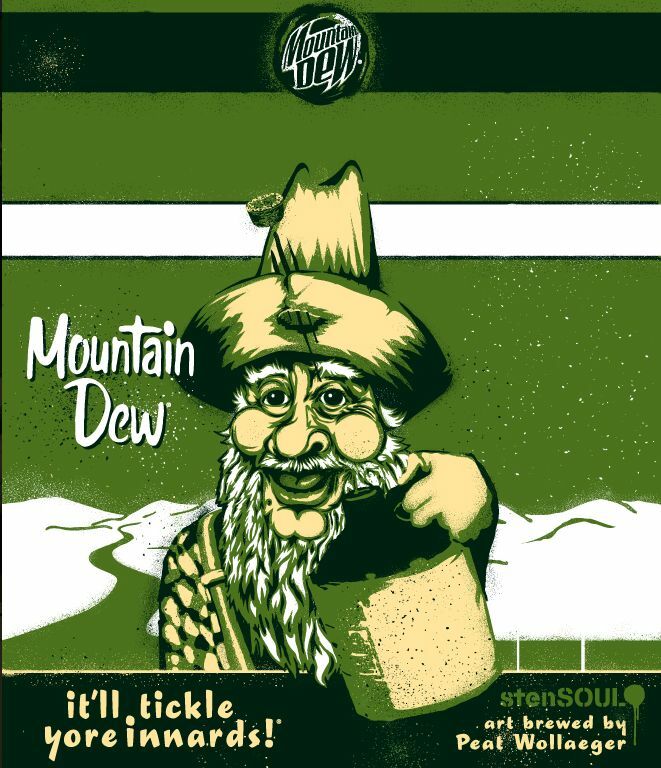 Mt Dew citrus + black grape = toe curling awesomeness. 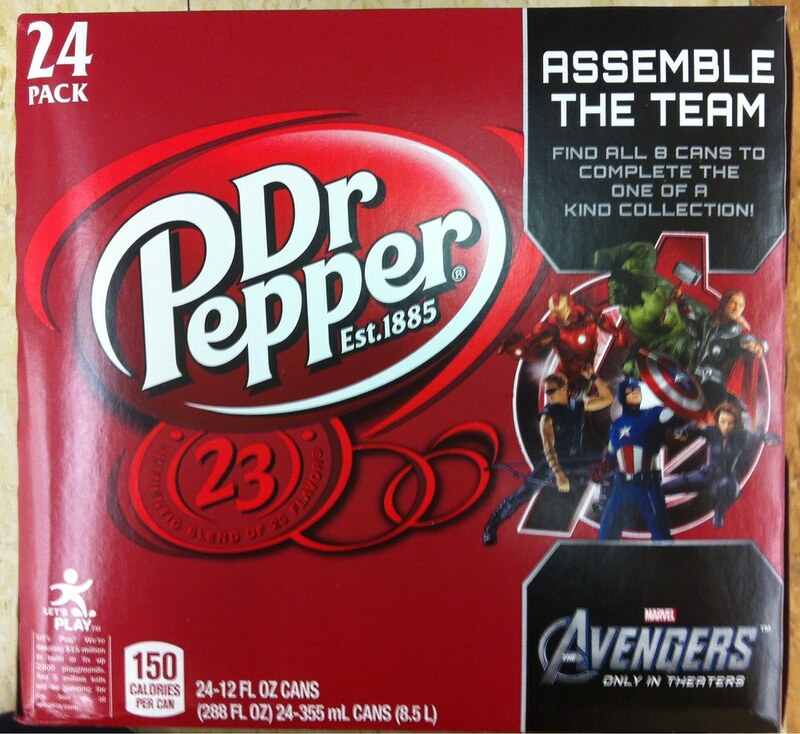 And the design of the 12 pack/cans are nearly identical to the original release. Pepsi really only updated the logo. Check it out compared to the original Pitch Blacks I and II (left to right). I love that they kept the design of the can so close to the original. Even including the silver Limited Edition label. I thought I would let another, possibly more impartial, person taste the new drink to see if it is, in fact, still tasty. In a bid for parent of the year, I decided the impartial judge will be my 8 month old son, PJ. 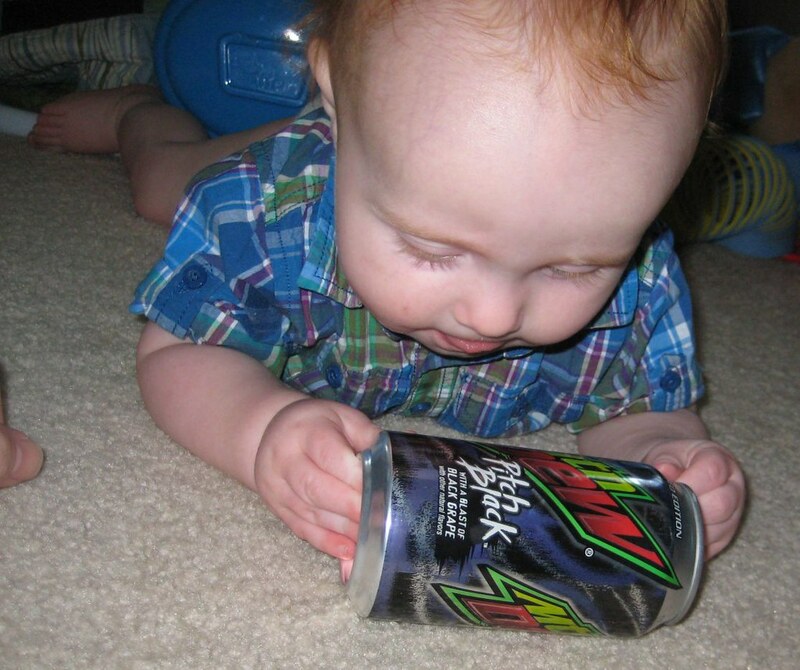 He was certainly up to the task and tore into the can like he was Teen Wolf and Pitch Black was a can of beer. 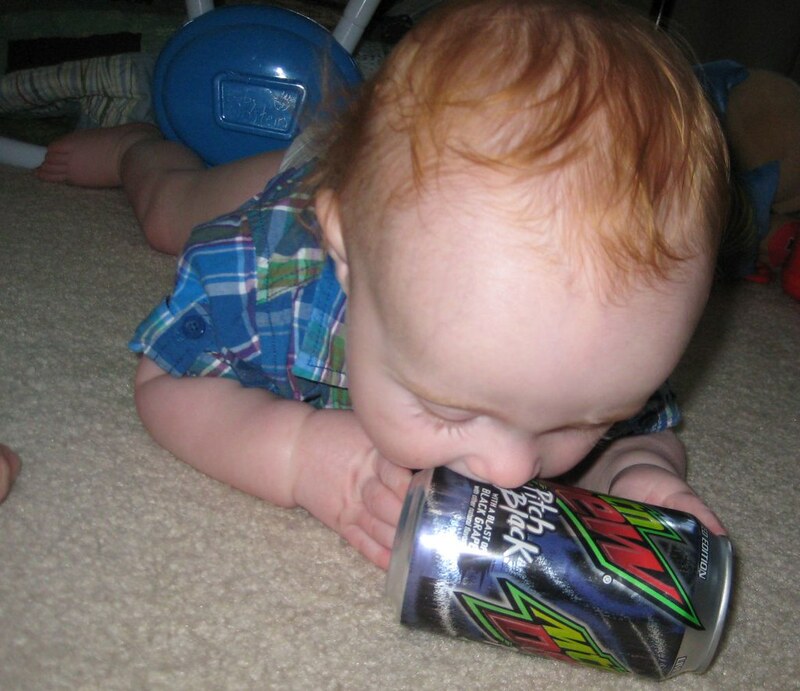 I’m sure Pepsi will be thrilled that they passed the “8 month old boy” taste test with flying colors. Like I said, it tastes awesome and I look forward to finishing my 12 pack. I’m going to stock up on these like a case of fine French Bordeaux because I don’t know how long they’ll be around. Maybe Pepsi plans on re-releasing Pitch Black II later in the year? We’ll see. 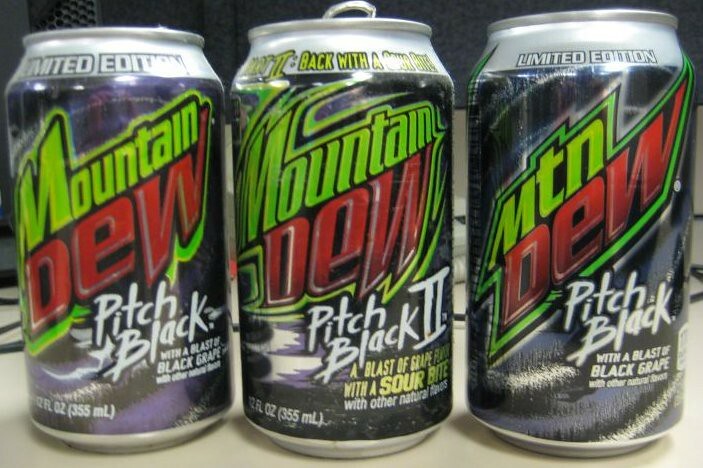 Hopefully Pitch Black can be an annual release every year much like Cranberry Sierra Mist (which is also awesome).